Carpet is one of the most popular flooring materials in the nation. Given its soft feel, low installation cost, wide array of vibrant colors, it's no wonder that virtually every home in the Bay Area has carpeting in at least room in the house. Unfortunately, carpet has one very big drawback: it gets dirty easily. If you have carpet in your home, a deep cleaning should be done with regularity to keep it in good shape. San Francisco carpet cleaning is a necessity if you want to keep your floors looking good, but hiring professional San Francisco carpet cleaners is also a good way to extend the life of your flooring, too! For homeowners in San Francisco, carpet cleaning services might seem like an expense that could be done without. Many homeowners figure that regular vacuuming is probably enough to keep their carpets looking good enough as long as there are no blatant spills or stains. The fact is, though vacuuming regularly is an integral part of keeping your carpets looking good, no matter how careful you are, unless the room is completely sealed off from foot traffic, there are dirt particles that vacuuming will not remove. These particles, though small, are sharp enough to actually cut carpet fibers, which can age it prematurely. 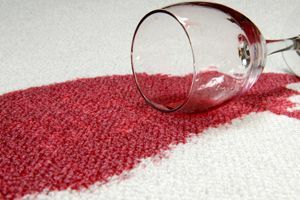 Neglecting to deep clean carpets can lead to more frequent replacements (which can add up over time) as well as leave you with a carpet that looks worse than it should! Though there's really no way to get around a periodic deep carpet cleaning, San Francisco homeowners do have the option of doing this job themselves. For a fee, you can go to a home improvement center, hardware store, or even supermarket and rent a steam cleaner to do your own floors. However, just because you have similar equipment to the professionals and access to some of the same cleaning solutions doesn't mean that you're assured a professional-looking job. The thing that separates a do-it-yourself job from the job done by your local San Francisco carpet cleaning service is experience. While anyone can read instructions on the side of steam cleaning equipment, it takes an experienced hand to use that equipment to its fullest potential. When it comes to removing stains, odors, and trapped dirt and grit, there's no substitute for the knowledge and technique that comes with performing this job several times a day. Plus, you need to be careful not to do more harm than good. Inexperience and/or cheap equipment can easily cause over-saturation of your carpet, leading to foul odors and moisture damage. Another benefit of hiring professional carpet cleaners is that, in addition to doing a faster and more efficient job and being able to get out stains that homeowners might not be able to remove, many San Francisco carpet cleaners are also able to do small repairs. Putting in patches, re-stretching, and other small carpet tasks can often be performed in the same visit as your cleaning, although you'll need to make sure your cleaners are up to the task, before hiring them. HomeAdvisor keeps records of every job we process, including carpet cleaning in San Francisco. The national average cost for carpet cleaning, according to our records, is about $200. In San Francisco, carpet cleaners often charge a little less than average, with many jobs coming in at $100 or $150! You can have a service come to your home and clean your carpets on site, but you can also bring rugs that are small enough to transport to the cleaners yourself. To ensure cost-effective carpet cleaning services, you need a professional cleaner who will deliver reliable, first-rate service without charging you an arm and a leg. HomeAdvisor can help. Each and every contractor in our database is put through a rigorous ten-step screening process that guarantees basic licensing and professional credentials. Moreover, you'll have access to our quality-controlled customer ratings and reviews. These reviews allow you to confidently see what other homeowners said about individual contractors, as well as providing a powerful incentive for your carpet cleaners to meet and exceed your expectations. Comment: Fabric armchair that was stained (most likely during an unauthorized party several years ago). We just never got around to cleaning it and thought we would try to have it cleaned professionally before we opted for a new chair. Comment: Fine rug apprrox. 4' X 7" wool and silk custom rug needs spot (pet) and general cleaning. Comment: I have a two wool flat woven rugs that I need cleaned. Would love quotes. San Francisco Carpet Cleaning Services are rated 4.71 out of 5 based on 570 reviews of 26 pros. Not Looking for Carpet & Upholstery Cleaning Contractors in San Francisco, CA?